Local humanitarians, local doctors, nurses and aid workers, from the heart of the communities affected, are the first and ongoing responders in a crisis. These local heroes save lives in the most volatile places on earth, daring to work where others won’t. However, the traditional aid model does not work in their favour. We partner with trusted local humanitarian organisations (LHOs) to develop human-centred health solutions. We’re also building a global humanitarian movement of engaged donors and strategic partners, which we connect to LHO projects via a direct digital lifeline — our online crowdfunding platform. Through our accelerator programme we support our LHO partners on things like, how to run a successful crowdfunding campaign, and how to plan effective strategies. Then we add workshops, mentoring and online resources into the mix. We’re committed to testing our model and generating data, to advance the aid system, whether through technology or how we work with LHOs. 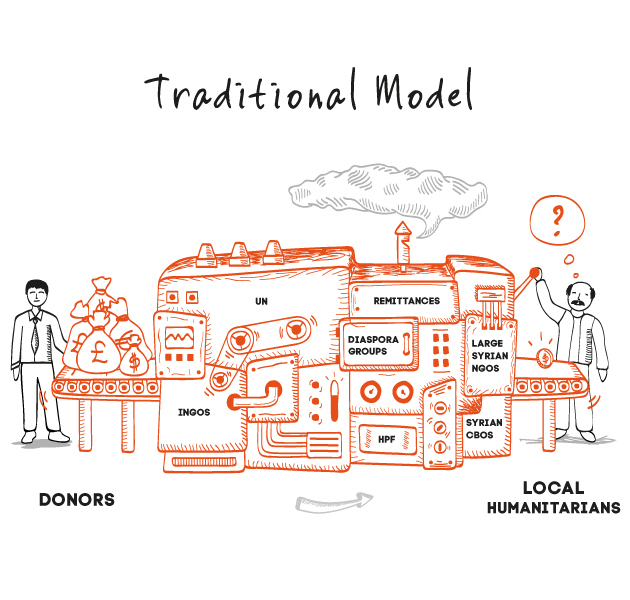 Our crowdfunding platform is an innovation in the humanitarian sector empowering donors and LHOs. 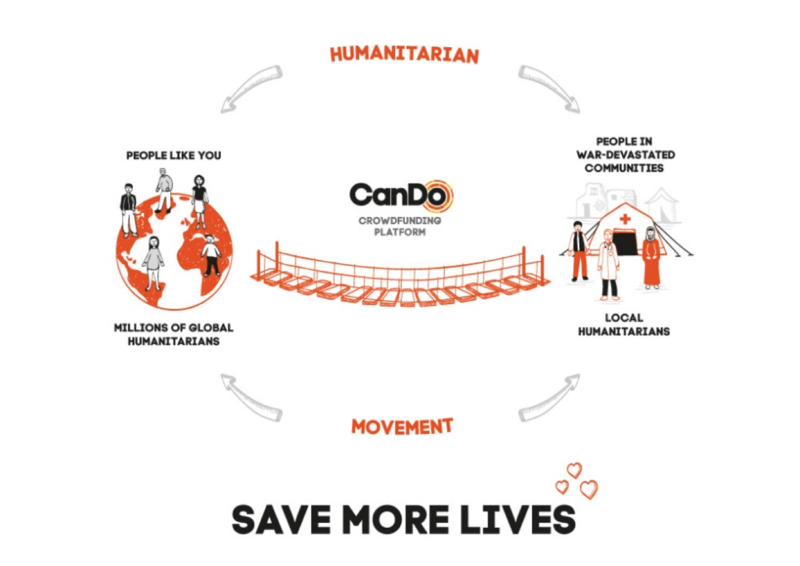 Want to join our aid revolution and partner with us? Email Federica. Why do we focus on health? We believe healthcare is a fundamental human right. In war zones limited access to healthcare means millions are dying or suffering needlessly. Children die of treatable illnesses, women have no birth attendants and there are no anaesthetics for surgery. We’re testing our model in Syria, the world’s largest, most complex crisis of the present day. Beyond 2020 we aim to bring our global solution to local humanitarians in other communities affected by war. Be part of the solution, join our movement today.